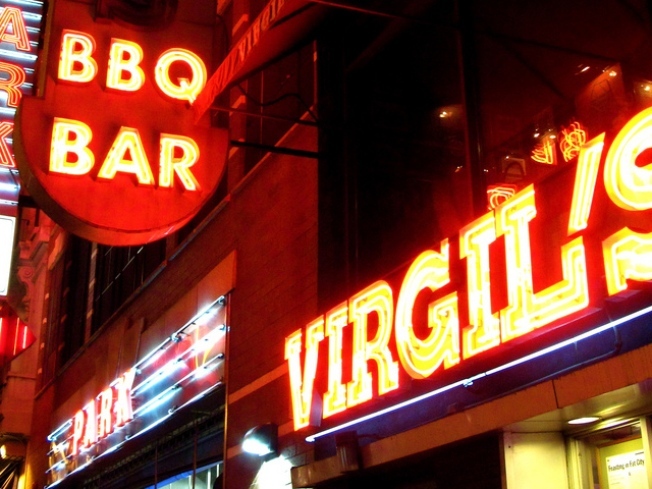 Swing by Virgil's BBQ for Ribstock, a raucous Woodstock tribute night of live music and Memphis-style meat. MILESTONE: They were definitely smoking something on Max Yasgur's farm 40 years ago, but we’re not sure it was ribs. Still, it makes sense that Times Square meat mecca Virgil's would celebrate Woodstock's 40th anniversary by dragging their massive smokers onto the sidewalk and passing out more than 200 racks of free Memphis-style ’cue. Go for the eats, the live blues, the Magic Hat tastings -- and the chance to tell your kids: "Ribstock, man. 2009. I was there." 5-9PM. HOT TICKET: …and speaking of Woodstock, have we mentioned Jefferson Starship (playing Jefferson Airplane) AND Big Brother and the Holding Company (with a Janis Joplin tribute) AND the Grateful Dead’s Tom Constanten are in town playing the Heroes of Woodstock concert? The plush seats and clean bathrooms of the Nokia Theatre are no match for a field of mud and 1969-model porta-potties, but still: Far out. 8PM. OVER ICE: Who hasn’t ordered a rhubarb-basil margarita at some hip bar and gone nuts trying to recreate the thing at home? (No? Just us then?) Mixologist extraordinaire and Slow Food honcho Allen Katz (a.k.a. the cocktail guy on Martha Stewart’s Sirius radio channel) will teach you the ins and outs of Greenmarket Mixology, all while pouring you samples of his locavorian libations. Astor Food Center, 6:30-8:30PM. Got an event tip? Send it to Elizabethby email.